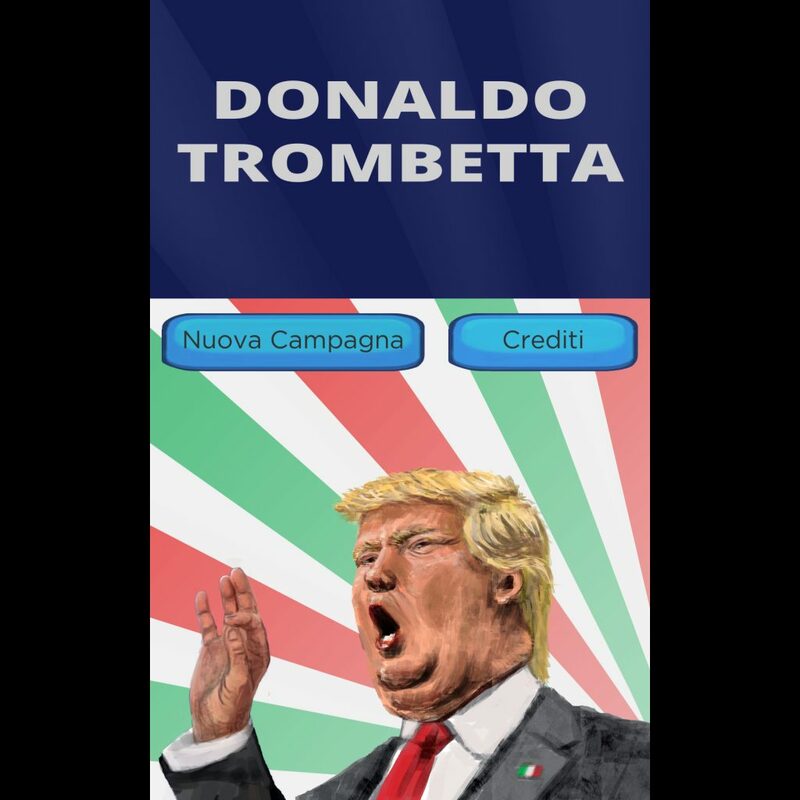 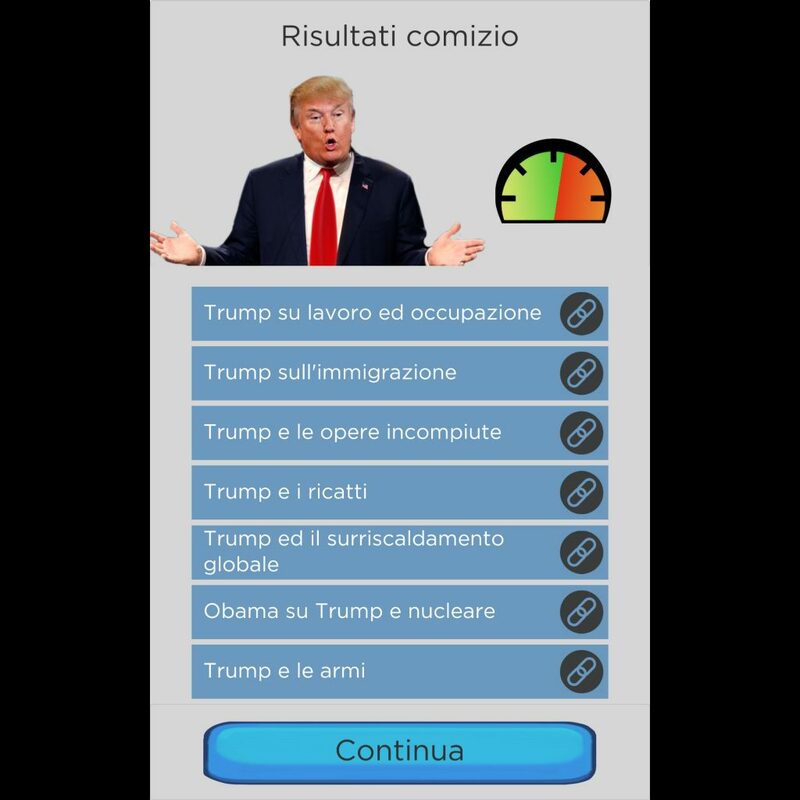 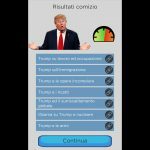 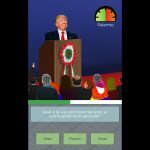 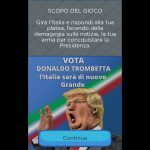 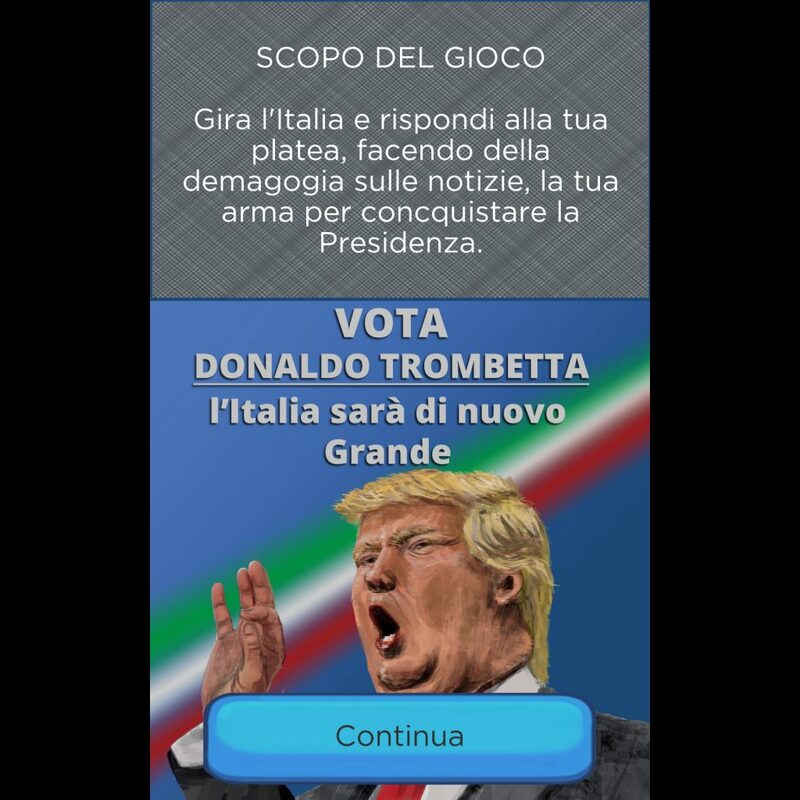 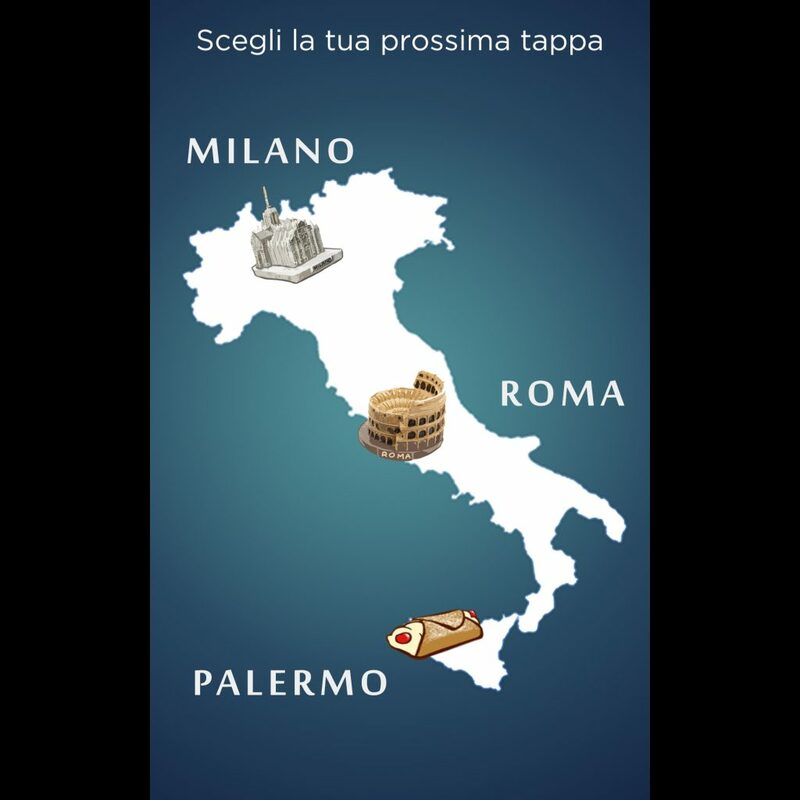 Donaldo Trombetta is a mobile videogame developed in Unity during the Corriere Hackathon in October 2016. 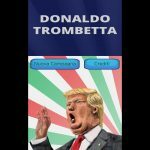 The main character is an italian politician. 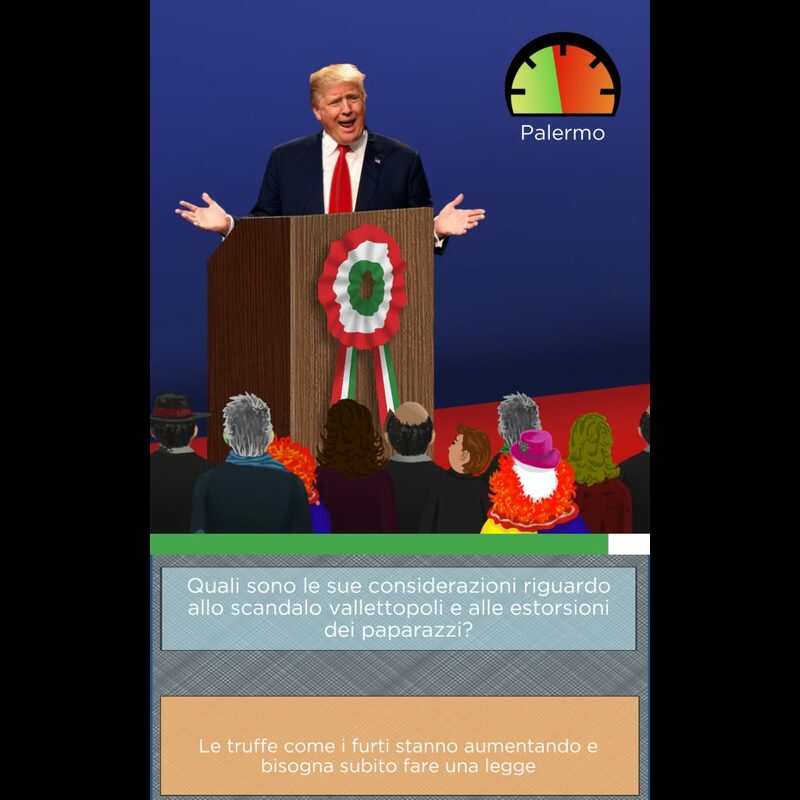 Player has to answer journalist questions during the main character electoral tour to gain fame and be elected.